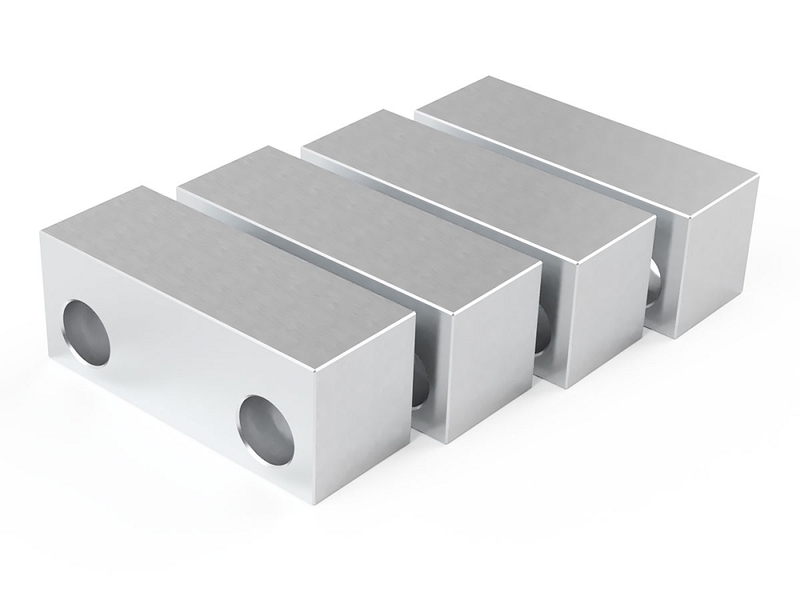 These 6061-T6 aluminum soft jaws are machined on all six sides. They measure 3" wide, 1.200" tall and 1.125" thick. 4 individual jaws per box.